Of all German E-Series (Entwicklung, development) only the E-100 ever reached the stage where it was ready to be built in metal. This did not stop other vehicles in the series from becoming very popular. These vehicles included not only tanks, but also tank destroyers, including the medium E-25 tank destroyer. Let us look deeper into its history and familiarize ourselves with other "paper" vehicles of its class. In March of 1942, the StuG 40 Ausf. F entered production. The main feature of the new vehicle compared to the StuG III was a 75 mm StuK 40 gun with a 43 caliber long barrel. Thanks to the new gun, the vehicle became a tank destroyer. Formally, it was still called an "assault gun", but the new SPG was developed specifically to fight tanks. However, the German military understood that even though the new gun had excellent characteristics, wartime conditions of rapidly growing calibers and armour meant that it will soon need replacing. The wait for a new gun was not long. In the winter of 1942, Rheinmetall-Borsig developed the 75 mm KwK L/70 gun, initially meant for the VK 45.01(H) heavy tank. The idea to equip these tanks with these weapons in a turret also developed by Rheinmetall-Borsig did not move past a full sized model. The gun got lucky: it made its way into the VK 30.02 (MAN) project, which, with some changes, was approved for production as the Pz.Kpfw. Panther. The choice of gun proved to be a correct one: the KwK 42 did not only become the Panther's main armament, but outlived the tank. A shortened version of the KwK 42 was used by the French on AMX 13 tanks and Panhard armoured cars. It was also used on Israeli M50s. Designing a gun for tank destroyers based on the KwK 42 was logical. Interestingly enough, the first chassis for the new tank destroyer was not a medium tank. On April 12th, 1942, development of the Sturmgeschuetz auf Leopard (L/70) began, based on the Leopard reconnaissance tank. An assault gun on the same chassis with a 105 mm leFH 18 howitzer in a lightly armoured casemate was also planned. While that project at least reached the stage of a full sized model, the Sturmgeschuetz auf Leopard (L/70) was not as lucky. On January 3rd, 1943, Hitler personally cancelled work on the Leopard project, and even the draft of the tank destroyer was not finished. In late January of 1943, the 7.5 cm Pak 42 L/70 mit Kugelblende auf VK 9.03 project was proposed. It was also cancelled in favour of the VK 13.03 project (the Luchs). The tank destroyer on the VK 9.03 chassis was rather awkward. Looking at it, one inevitably asks the question: how is it possible to drive with such a huge "fishing rod" that's longer than the entire hull? 7.5 cm Pak 42 L/70 mit Kugelblende auf VK 9.03. 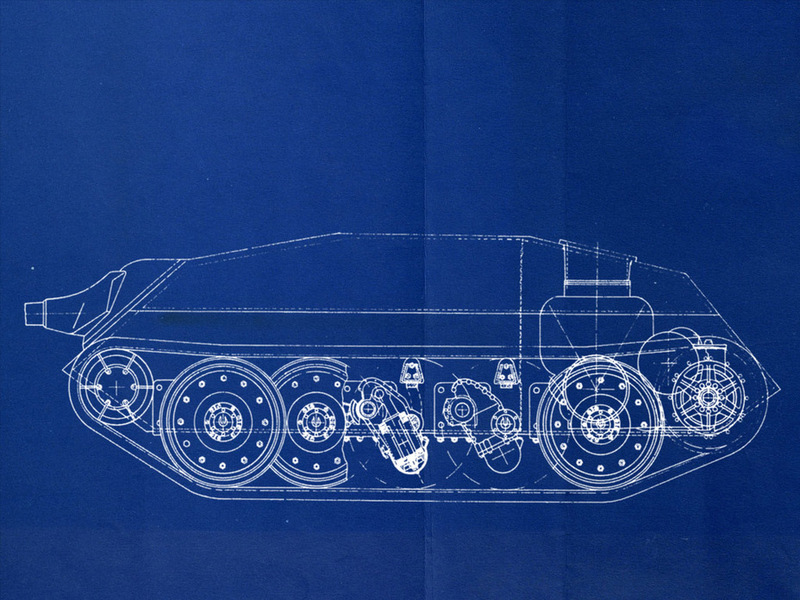 The drawing is based on factory blueprints. 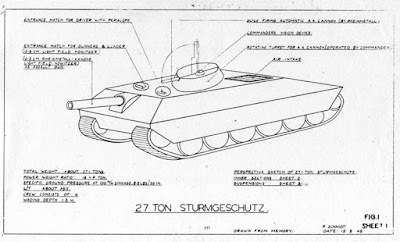 It is unknown if Hitler ever saw the first sketches of the Sturmgeschuetz auf Leopard (L/70), but the situation changed again in early December of 1942. Development of the Sturmgeschuetz 40 equipped with the 7.5 cm Pak 42 L/70 began. This project was being developed by Alkett, the designer and primary producer of the StuG III. By spring of 1943, Alkett finished the full sized model of the proposed tank destroyer. Little of the StuG 40 remained. The casemate and engine deck were completely redesigned. The casemate armour became sloped, both in the front and the back. The installation of the gun and gun mantlet were done completely differently. Sturmgeschuetz 40 mit 7.5 cm Pak 42 L/70, spring of 1943. As you can see, the casemate and gun mount were designed anew. Work on the "long-armed" StuG 40 did not progress past a wooden model. Alkett was overloaded with the suddenly increased demand for StuG 40 production. Production doubled from January 1943 to October. In these conditions, it was nonsensical to load the company with another vehicle. In addition, the Vomag company proposed the kleine Panzerjaeger project on the Pz.Kpfw. IV chassis in May of 1943. The first prototypes were ready by fall, and in January of 1944, tank destroyer, named Jagdpanzer IV, entered mass production. Even though the vehicle only used a 48 caliber long gun, the Jagdpanzer IV chassis allowed for a longer gun to be used. Nevertheless, work on alternative medium tank destroyers began in Germany in the spring of 1943. One month before the presentation of the Vomag kleine Panzerjaeger, Heinrich Ernt Kniepkamp, one of the key figures in the 6th Waffenprüfamt, initiated a tank and SPG development program. This program included light (E-10) and medium (E-25) tank destroyers, as well as medium (E-50), heavy (E-75), and superheavy (E-100) tanks. The E-Series concept included maximum parts commonality of similar types of tanks, external suspensions, and moving the transmission from the front of the hull to the rear. No real progress on E-Series vehicles was made until 1944. 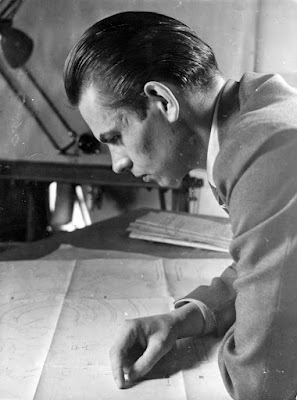 Hermann Klaue, chief designer of the E-25. The contract to develop the E-25 was given to the Argus Motoren Gesellschaft m.b.H. company. Hermann Klaue was appointed as the chief designer. 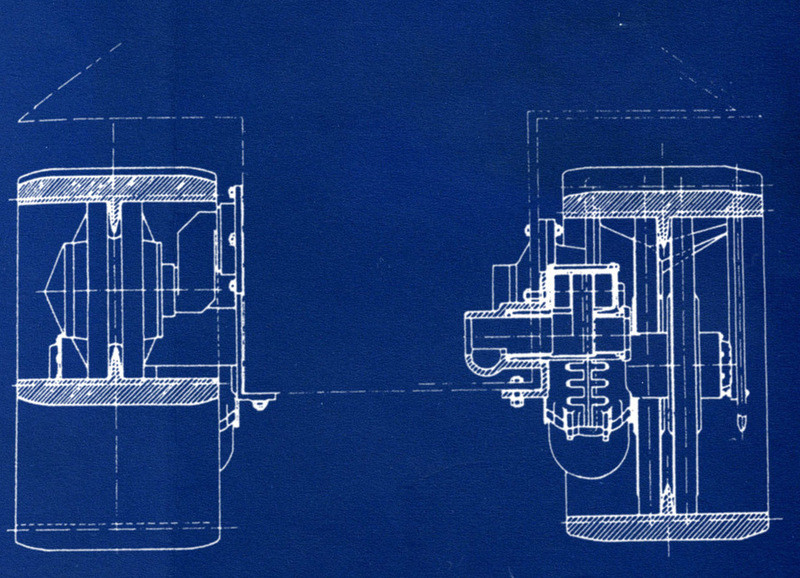 Klaue was a truly talented engineer who filed over 500 patents over his lifetime. The choice of Argus might seem strange, as the company was best known for development of aircraft motors. At the same time, as a subcontractor, Argus was not too distant from tank production. Also it must be considered that the E-Series were considered a conceptual project, treated not as necessarily a low priority project, but as a backup plan. The task that Klaue's team was given was not a standard one. They needed to design a 25-30 ton tank destroyer with a 75 mm Pak 42 L/70 gun with a rear transmission and external suspension elements. Later, a condition was added that as many elements of the suspension and engine of the light E-10 tank destroyer as possible had to be used. In the summer of 1944, the project began to take shape. The hull of the E-25 was 20 cm shorter than that of the Jagdpanzer IV, but 20 cm wider and 20 cm taller. Its shape was reminiscent of the Jagdpanzer 38(t). The gun mount was also similar. The armour was similar as well: 50 cm in the front, 30 mm on the sides and rear. As the task required, the road wheels came from the E-10 project, and their number grew from 4 to 5. 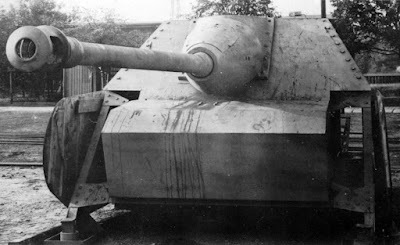 The track links were noticeably wider than those of the Jagdpanzer IV: 700 mm. Cutaway. The design of the suspension and chassis can be seen. Since the mass was limited, Klaue was forced to use an unorthodox solution. The possible length of the engine and transmission compartment was limited, but the transmission and radiators had to go somewhere. The solution was the perpendicular placement of the engine. This explains why the hull of the E-25 was so wide. 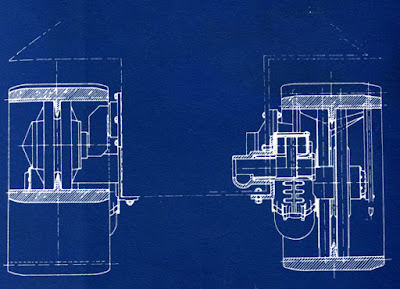 The E-25's engine was the 10 Liter Maybach HL 100, the same one intended for the Z.W. medium tank and B.W. support tank. Technological progress did not stand still for 10 years, and the engine power increased from 300 to 400 hp. Later, the Maybach HL 101 turned up as an alternative. It had the same volume as the HL 100, but it was supercharged to 550 hp. In his works, the famous German historian Walter Spielberger mentioned the possibility of using the Maybach HL 230 engine in the E-25, but there is doubt as to how the engine that was 2 times bigger than the Maybach HL 100 would still fit into the compact engine compartment. However, one can confidently say that Argus intended to put its own engines into the proposed tank destroyer. Two engines were mentioned, a 400 hp one and a 600 hp one. Both had their roots in aircraft engines. It is likely that they meant the AS 410, a mass produced and compact engine used on a series of German aircraft. 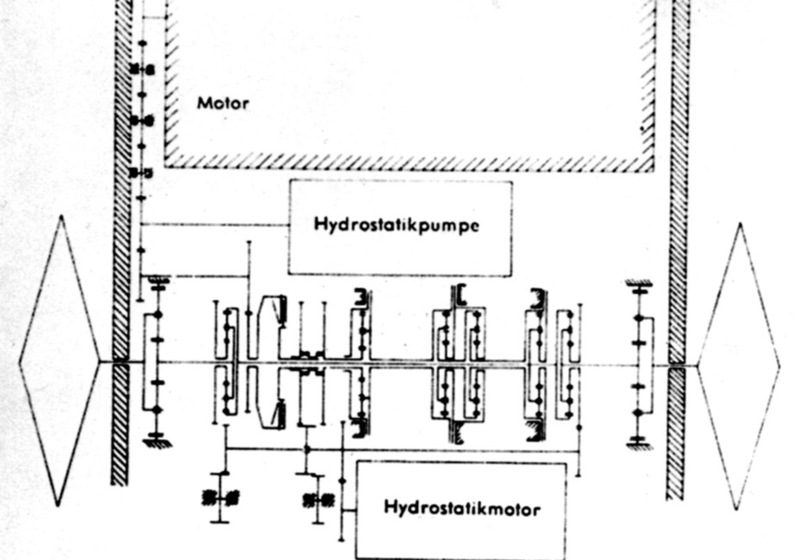 Diagram of the transmission and engine layout. The transmission of the E-25 was developed by ZF starting in July of 1944. It was scheduled to be completed by January of 1945. However, Hermann Klaue was working on his own transmission in parallel. 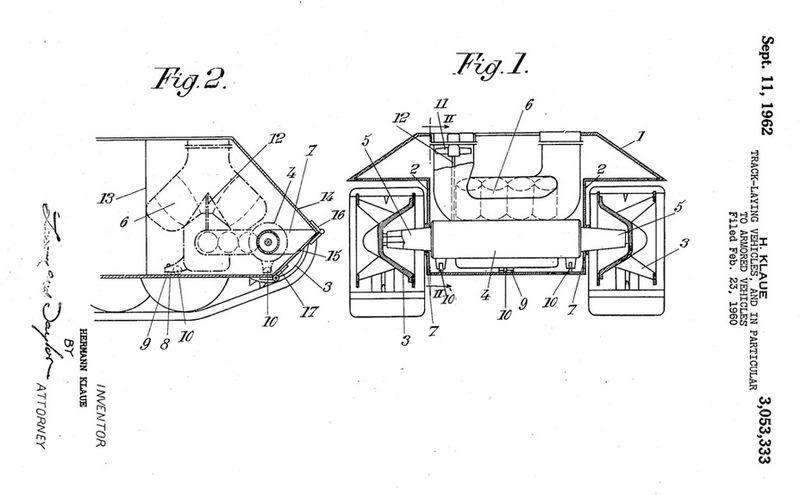 One can see how it was going to look by examining his patent filed in the early 1960s. Here you can also likely see the Argus engine that was intended as an alternative to the Maybach HL 100/101. 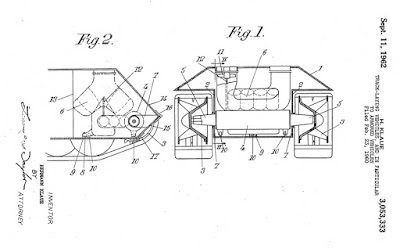 Post-war patent by Hermann Klaue that obviously displays some work from the E-25. Finally, the project was completed in January 1945. At the same time, no solution was found to several questions. Firstly, the engine, the choice of which was still not made. Second, no less interestingly, a decision was not made regarding the armament. An alternative appeared in the form of a 105 mm smoothbore 10 cm PAW 1000 (10H64) gun, which had a shorter barrel, but significantly higher penetration. The project was left hanging in mid-air. Incidentally, in all variants described in this story, the frequently drawn AA gun cupola is absent from the E-25. The cupola comes from a mix-up with another project, which will be described later. The finale of the E-25 was a sad one: not even a prototype was built. There is contradicting information about three hulls. Various sources give different locations: either Alkett in Spandau or Katowice. Neither claim has any backing. Speaking of German medium tank destroyers, it is incorrect to single out the E-25. The Argus design was not the only such project. An alternative cropped up almost instantly, and development went on even more rapidly. 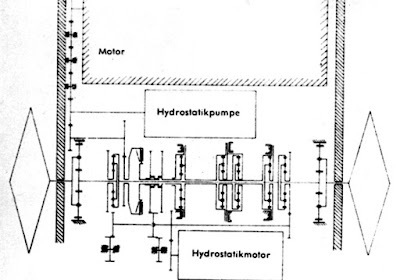 As with the E-100, the competitor to Kniepkamp's project was offered by Porsche K.G. Initial design of the Panzerkampfwagen Porsche, May 1943. According to research by Jentz and Doyle, the first mention of the Panzerkampfwagen Porsche was made on May 13th, 1943. This was a 25 ton class vehicle that differed significantly from other German medium tank destroyers. The project included the use of cast armour, while the hulls of German tanks were traditionally welded from rolled plates. The front armour was 120 mm thick the sides and rear were 80 mm thick. The vehicle was low to the ground, less than 2 meters in height, had a short hull and a large clearance. The crew was made up of 4 men, and the armament consisted of a 105 mm leFH 105 howitzer. The electric transmission and drive sprocket were positioned in the rear. AA cupola with an MK 108 AA gun. The Panzerkampfwagen Porche did not live for long in its initial configuration. On May 15th, 1943, Guderian, the Inspector General of the tank forces, moved forward the idea that every German tank should have a built in AA gun. Rheinmetall-Borsig, who worked closely with Porsche on the new assault tank, began the development of an AA gun cupola. The 30 mm MK 108 autocannon designed by the same Rheinmetall-Borsig was selected. The compact aircraft gun was perfect as an anti-aircraft weapon. 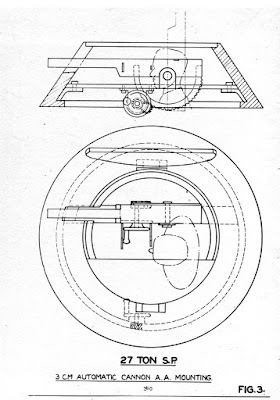 The small dimensions prevented barrel overhang, and the HE round was equivalent to a hand grenade in explosive power, making it effective against ground targets. 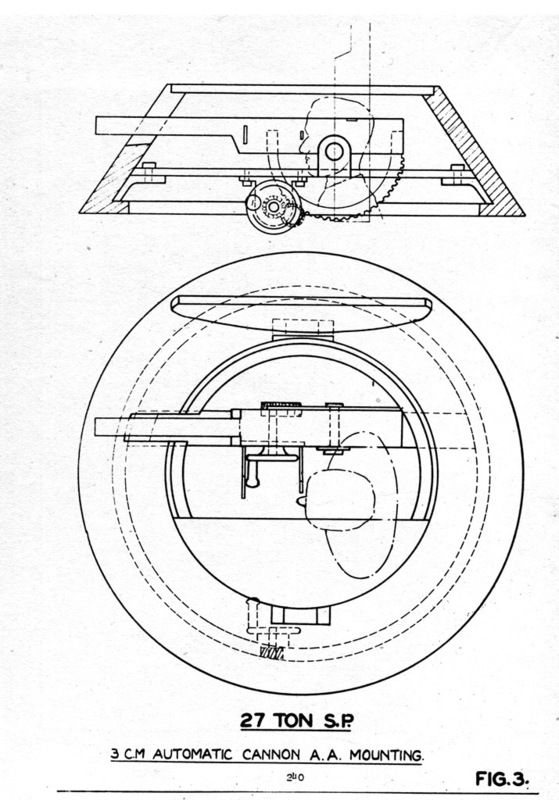 The design of the AA cupola for the assault tank named Schwerer kleiner Panzerkampfwagen mit 10.5 cm (heavy small tank with a 105 mm howitzer) was presented on July 29th, 1943. Due to the increase in mass, the side armour was decreased to 70 mm and the ammunition capacity was lowered to 44 shells. Nevertheless, the mass of the assault tank grew to 27 tons. 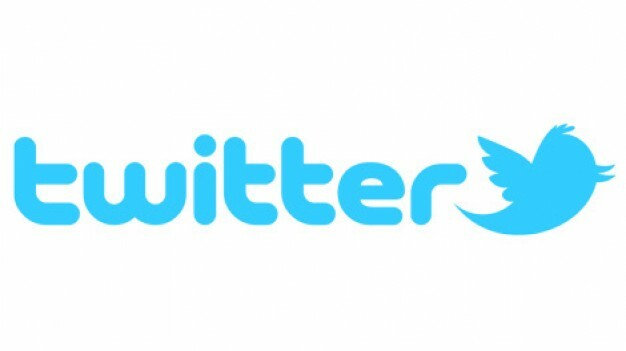 During the next six months, the project was changed several times. By February of 1944, the Schwerer kleiner Panzerkampfwagen mit 10.5 cm looked significantly different. The hull changed completely, and now took up the entire width of the vehicle. Thanks to this solution, the fuel tanks, radio, and some of the instruments were now placed above the tracks. The slope of the armour plates was increased. The vehicle became longer and taller, which improved the crew conditions, and the ammunition capacity grew to 77 rounds. The chassis was also redesigned, and its wheels decreased in size (600 mm instead of 780 mm). The width of the track links decreased from 600 to 550 mm. The engine was specified as a 15 Liter Porsche engine. The V-10 air-cooled engine would provide the vehicle with 345 hp. It was connected with the electric transmission, with the drive sprocket still in the back. Another change was made in April of 1944. The leFH 18 was no longer considered an effective weapon, and the army was in need of tank destroyers more than assault tanks. The result was the installation of the Krupp 105 mm 10 cm PAW 1000 (10H64) smoothbore gun. Since the new gun was only a little larger than the leFH 18, its use was not a problem. The hull of the tank destroyer remained the same. The ammunition capacity was 56 shots for the PAW 1000 and 600 for the MK 108 AA gun. It is often stated that the last activity of German engineers on the Schwerer kleiner Panzerkampfwagen mit 10.5 cm project was on June of 1944, but that is not so. 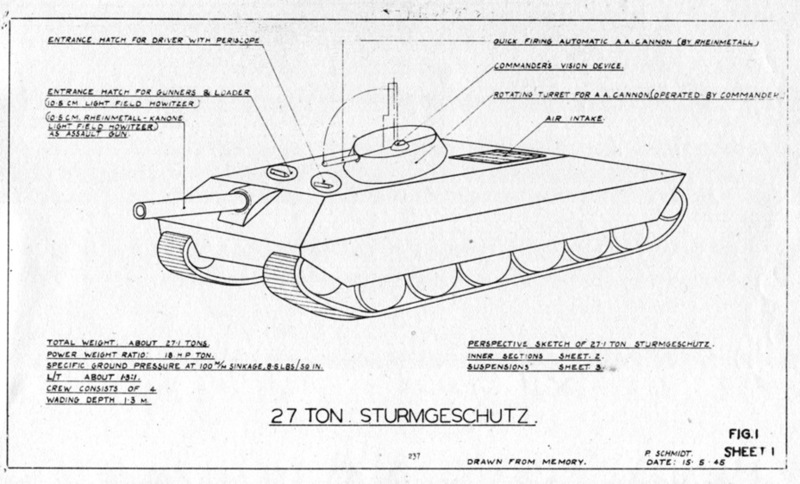 The American Combined Intelligence Objectives Subcommittee mentions a 27 ton Sturmgeschuetz in its report on Porsche's activities during the war. The report contains a detailed description which differs from the Schwerer kleiner Panzerkampfwagen mit 10.5 cm configuration as of the summer of 1944. The height of the hull sans the AA turret decreased to about 1.5 meters, its length was 4900 mm, and its width was 3100 mm. Hatches for the gunner and driver appeared in the enlarged roof. The AA cupola was displaced to the right, and a smoke grenade launcher operated by the loader was added to the left side of the roof. The perpendicularly placed air cooled engine had a power output of 500 hp. The armament remained the same. There is one final, important detail. The description calls the vehicle "E-25" at least once, which was likely the cause of the theory that the E-25 had an AA cupola. The E-25 and Schwerer kleiner Panzerkampfwagen mit 10.5 cm were interesting projects, no doubt. Nevertheless, their chances to enter production were negligible. In October of 1944, a decision was made to reduce the number of platforms for armoured vehicles in Germany. Both projects also had a weak point: the engine. None of the proposed engines were built in metal. In this situation, the possibility that either of the vehicles would reach production was slim. Even if there was an engine, the question of where these vehicles would be built was never answered. There was another important thing. In August of 1944, the PzIV/70(V) entered production with the same 7.5 cm Pak 42 L/70. 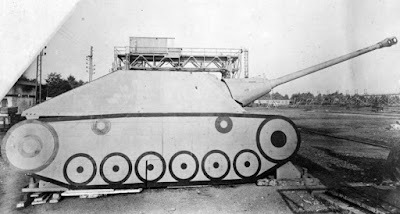 Its front armour was 80 mm thick, more than that of the E-25. It is not surprising that the German military preferred an existing vehicle. No one was thinking of replacing the PzIV/70(V) in early 1945. According to production plans, 150 of these vehicles would be built every month in the summer of 1945. There was no room for the E-Series in these plans. The author thanks Hilary L. Doyle for illustrations used in this article.